Setting goals for our year helps us to be more intentional with our lives. 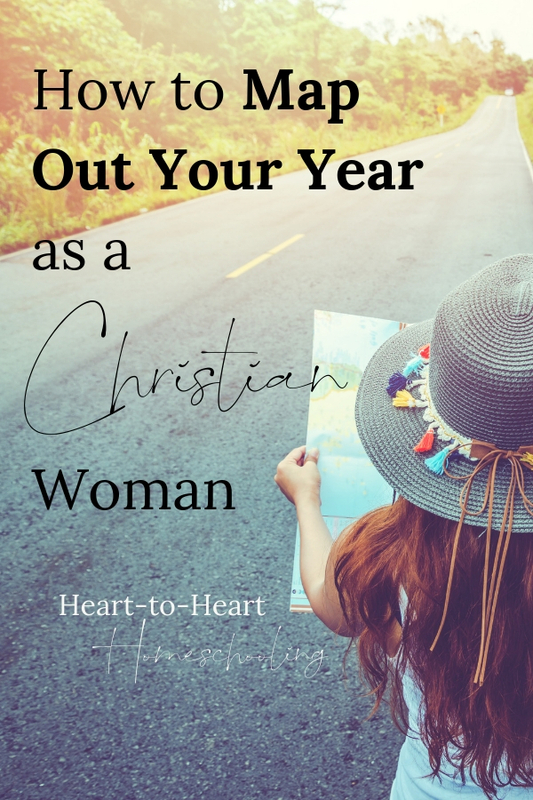 But what does it look like as a Christian woman to set goals? Why do we set goals? How can we go about goal setting so that we set the right goals and follow through in His strength? Time is limited. And as we become more aware of this truth, we feel the call to be intentional with our lives. Intentional means “designed, done with design or purpose, deliberate”. So consider what that would look like. A designed life. A purposeful life. A deliberate life. 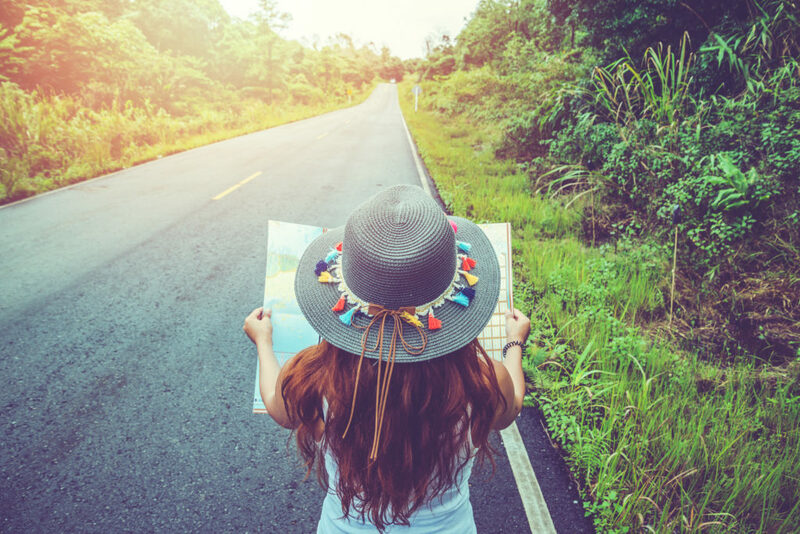 Making goals begins with knowing your destination. Ahh, the wisdom of Yogi. I don’t want to end up end up someplace else. And I prefer at least have a destination in mind. Paul knew where he was going. Somewhere to press on toward. Yes, Paul had a goal. Do you? Getting started on your journey. Often when we think about setting goals, we begin by asking questions. What do I want for the coming year? What do I want to change about myself? About my life? What do I desire? But there is a better place to start. The Greek word for wish can also be translated desire. But first comes the abiding. So let’s start with delighting and abiding. And then we can ask different questions as we approach goal setting this year: What does God want me to do this year? Is there an area of my life He wants to transform? How does he want to mold me to be more like Him? To love more like Him? And when we change the questions, we change the focus of our goal setting. It isn’t just about us anymore. 1. Spend time in prayer. I know, it sounds so obvious. And yet I can get so busy doing that I forget about just being. Being with Him, in His presence. Seeking Him and His wisdom. But I need God; I need His wisdom. Wisdom is the ability to live life skillfully, and I can’t do that on my own. 2. Search out Scripture to learn His will. How do we transform our minds? By saturating it with His Word. And I believe the more time we spend doing His revealed will, the more we will be able to discern His will that isn’t specifically written down. All of the things I see in my life that need to be improved or changed are based on what He has lovingly taught me through His Word. 3. Remember to make goals for your whole life. If the focus of our goal setting is about Him instead of us, does that mean we should only set goals having to do with our spiritual lives? Things like how much time we will spend in prayer or Bible study, how many verses we will memorize? Of course not. The truth is as Christians all of our life should glorify Him. His workmanship, created in Christ Jesus. And He has already prepared the good works we are to walk in. 4. Know why you want to set each goal. 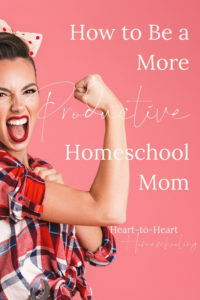 I want be consistent in homeschooling my kids because I believe God has lead us to educate them—heart, mind, and soul. I want a cleaner home so that I feel comfortable asking people over. Hospitality is a way I can show God’s love to others. I want to be in better physical shape so that I have the energy to do all the things I’m called to do—to educate my children, build our family relationships, and serve others. 5. Develop the habits you need to reach your goals. I want be consistent in homeschooling my kids. Habit: Start each homeschooling day with my top 3 priorities such as Bible time, reading aloud, and math. I want a cleaner home so that I feel comfortable asking people over. Habit: Put things away right after I’m done with them. I want to be in better physical shape. Habits: Set a morning aside each week to plan meals or walk for 30 minutes each day. I truly believe that God wants us to be intentional with our lives, for us to “number our days” and live wisely. 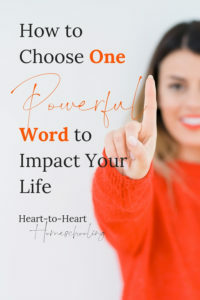 But let’s not forget: We can choose a word and we can make goals, but we are not the Blessed Controller of all things. (And we wouldn’t want to be!) We want to remain flexible. People will always come before plans. God before our goals. So may we always be sensitive to His leading. A few resources to help. 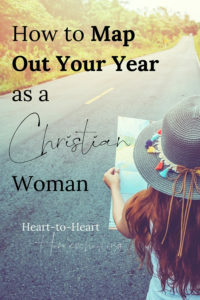 I’ve created a FREE printable to help you with every step in the An Intentional Year series—for both you personally and your homeschool. To live an intentional life we can make goals. But without a plan, it simply won’t happen. Something I’ve learned the hard way. 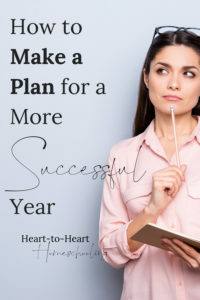 You can learn how in How to Make a Plan for a More Successful Year. Do you have goals for the coming year? I would love for you to share them with us! Great post!! I love that you challenge us to think about our life from an eternal viewpoint. It’s so easy to get caught up in day to day troubles and forget the ultimate end in mind, glorify God. I often write to remind myself of these truths! You are right—it IS easy to get caught up and miss the big picture. My word in 2016 was “Intentional” and in 2017 it was ‘Fearless’. The past month or so the Lord has been dropping in my spirit that in 2018 He wants me to spend time receiving from Him so He gave me the words ‘Healing’ and “wholeness” for not just me but my family. I kind of wrestled with Him a little bit because I always want to be ‘doing’ for Him. But the other day He dropped the word ‘Yield’ into my spirit lol so I am yielding to His Spirit. Thank you for your beautiful post!! Donna, thanks so much. I struggle with wanting to “do” too. And I think he calls us to do, but we get the order wrong so often. We really have to stop doing long enough to listen and yield to know what we are suppose to be doing.